What is your dream for your ideal wedding? Are you looking for something grand with many guests to witness your union? 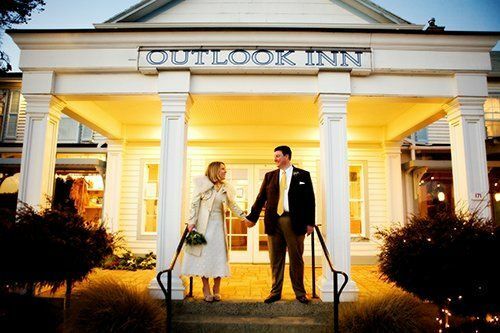 Do you want a smallish wedding in a picturesque setting? What is most important to you for the ceremony? 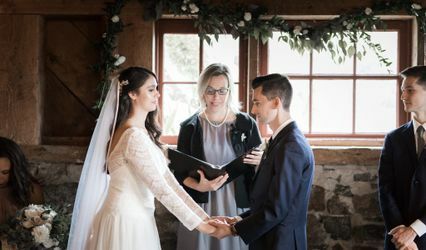 It is my pleasure to help dreams come true by listening and creating a personalized ceremony centered around what’s important to couples to celebrate their love on their wedding day. It is a happy day when the parents of the bride and groom shake my hand and offer kind words of joy for the ceremony they just witnessed. I think a wedding ceremony is not only intended for the couple who is being married–it is also intended for everyone who is present at the wedding. 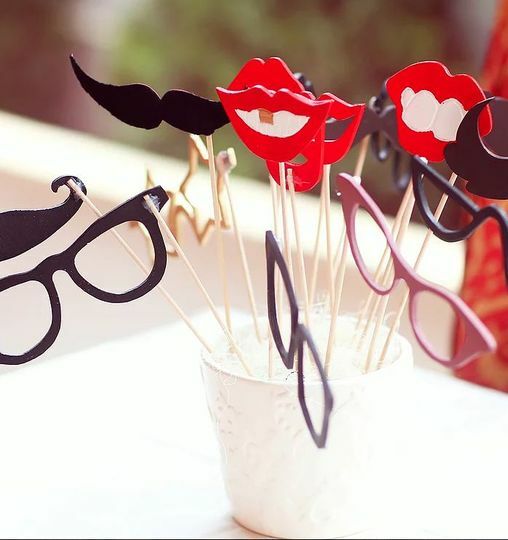 I take pleasure in hearing laughter from the bride and groom and their guests. I like to gather from conversations (face-to-face, Skype, FaceTime, phone) and e-mails how couples enjoy sharing their time together and what they admire about each other. Then I weave this into the ceremony so that it is personal and meaningful. The process is comfortable and fun. The wedding is a culmination of a relationship that is built by going deep and yet light and joyous. 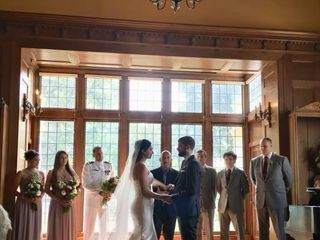 Some couples choose to not see the ceremony until it actually happens; some couples like to see the completed version of the ceremony with various degrees of input, confident that we have connected and that the ceremony is to their liking. Every wedding feels like a great event. I love meeting children, elders, family, and friends, knowing how important a wedding day is in people’s lives. 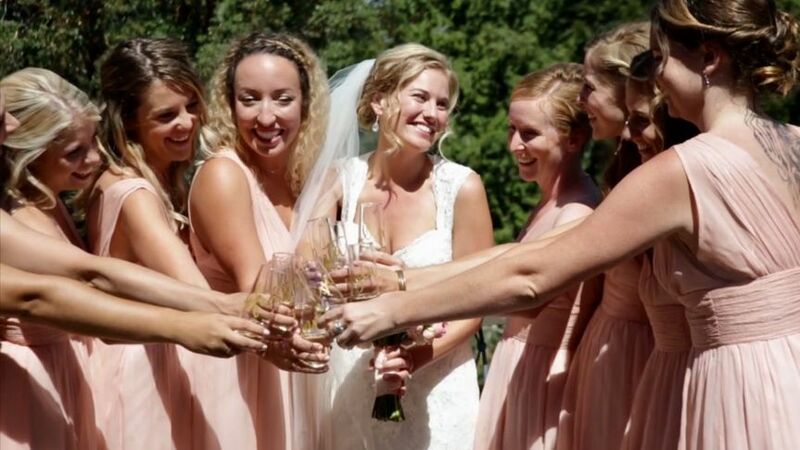 It is a pleasure when the wedding party can feel confident and relaxed knowing the ceremony will be a success! Whether we have a rehearsal or not, I like to help people feel at ease and valued no matter what their role will be in a wedding. Whatever size or style of wedding you choose, it is the careful, thoughtful planning and the atmosphere makes it beautiful. If you’re thinking of coming to the San Juans (or you are a local who already knows and loves this place), you will be so happy you came to these majestic islands! 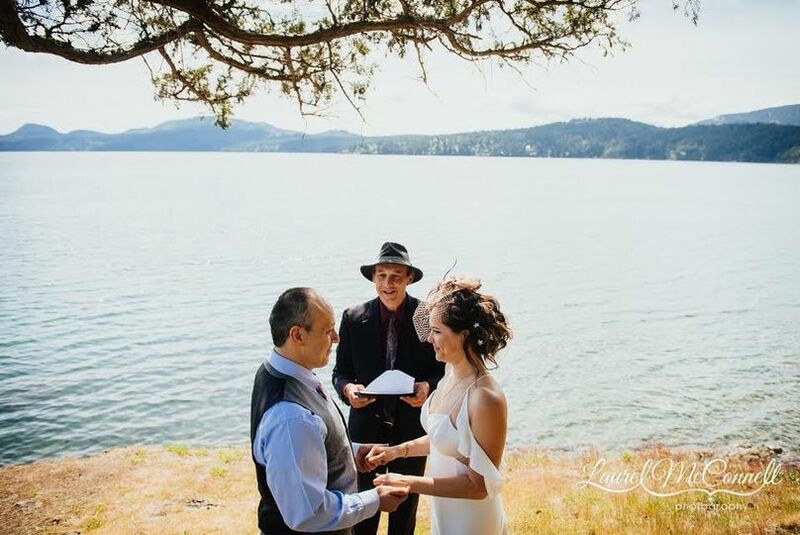 Did you know that the San Juan Islands are one of the two most popular destination wedding locations for islands in the country? 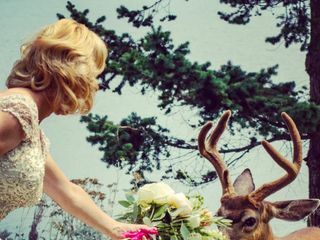 The San Juan Islands have a wedding industry that is truly remarkable. Where I live, Orcas Island, most summer weekends have weddings several weddings ranging from the picturesque surroundings at Rosario, the sounds of the water during silent moments on the patio of the Odd Fellows Hall, the beautiful garden at the Outlook Inn,, the quaint atmosphere by the ferry landing at the Orcas Hotel, Moran ELC, where groups can rent out the entire place and have their lodging needs met in one fell swoop; the intimacy of the Victorian Valley Chapel, sounds of cows enjoying a summer day as part of the soundscape of farm weddings. I've enjoyed showing up at homes with stunning views to officiate weddings that are straight out of National Geographic, and at outside locations in Moran State Park, such as the top ofl Mt. Constitution, by a waterfall, or tucked away by Mountain Lake. 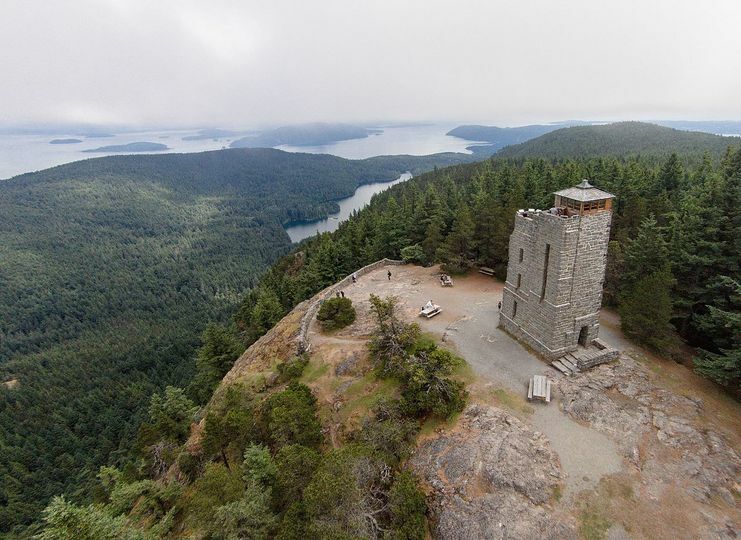 One of my favorite elopement or small wedding sites is Little Summit. The views are epic! So many outside locations near fresh water, saltwater, or with views that are as beautiful as the most beautiful places in the world! I have had the good fortune to be able to catch the ferry to San Juan Island (usually the peaceful interisland boat) to officiate amazing weddings at Roche Harbor, where their staff defines quality, the Tucker House, where I have had the pleasure to officiate several elopements, Lime Kiln (where whales came out for a celebration after the vows); so many places in Friday Harbor. 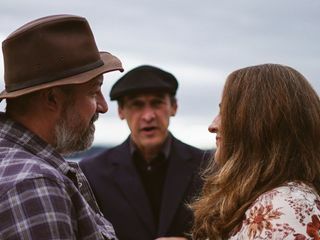 As for Lopez Island, I think back on the sounds of a bagpipe echoing at Watmough Bay and the charming feel of weddings on Lopez. 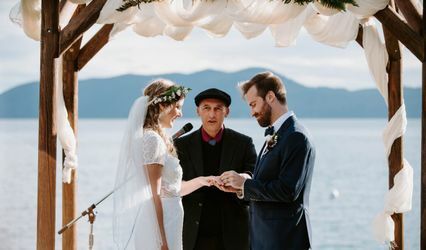 After twenty-three years in the San Juans, it is my pleasure to speak with you about which picturesque location will best suit your needs and wishes on your wedding day and for you and your guests to best enjoy your stay for however many days for the wedding weekend or week. Beyond providing a ceremony that will be a valuable keepsake for the rest of your lives, I am available to help with logistics from how to obtain your marriage license to where to get flowers, as well as helpful tips with lodging, transportation, recreation, best hikes, favorite places to eat. 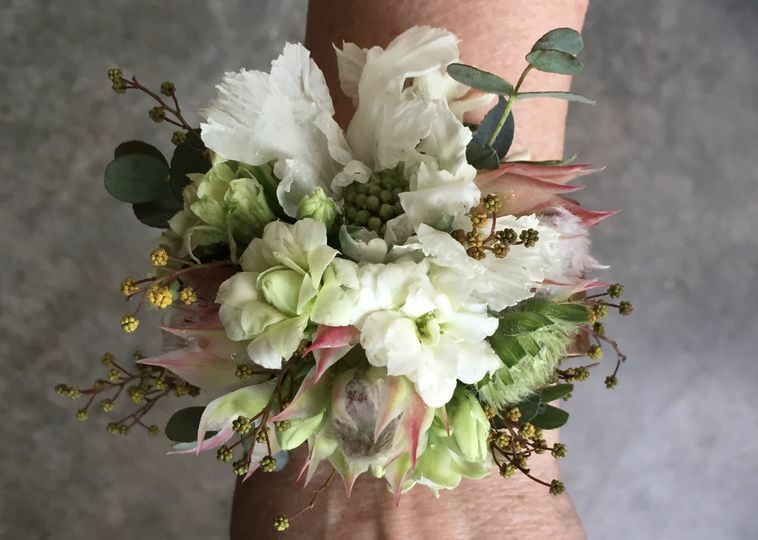 With such beautiful venues and a fantastic wedding industry (amazing island-produced food catered to your liking, island-grown flowers, talented photographers and videographers, etc. ), your wedding is sure to be a complete success! 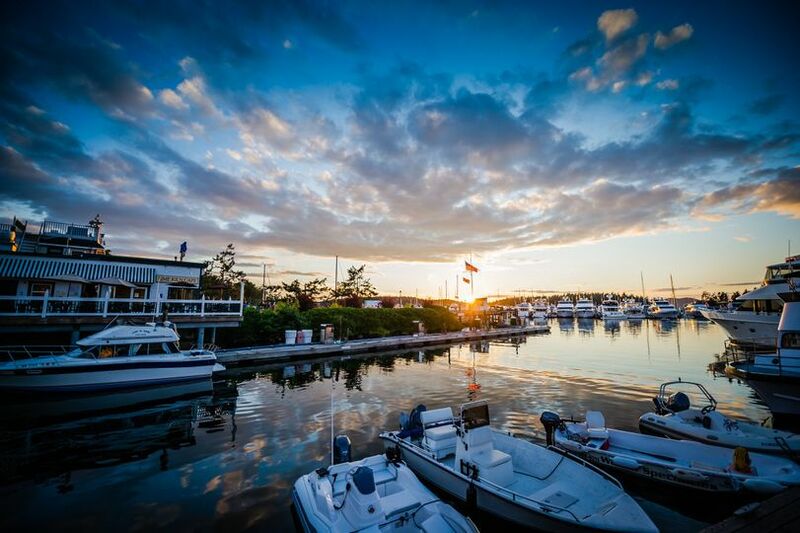 Your guests are going to come home and wonder what kind of dream vacation they just experienced! We can meet by phone, Facetime, Skype, or perhaps for coffee or a meal, maybe a walk around a mountain lake and see if I can meet your wedding needs. 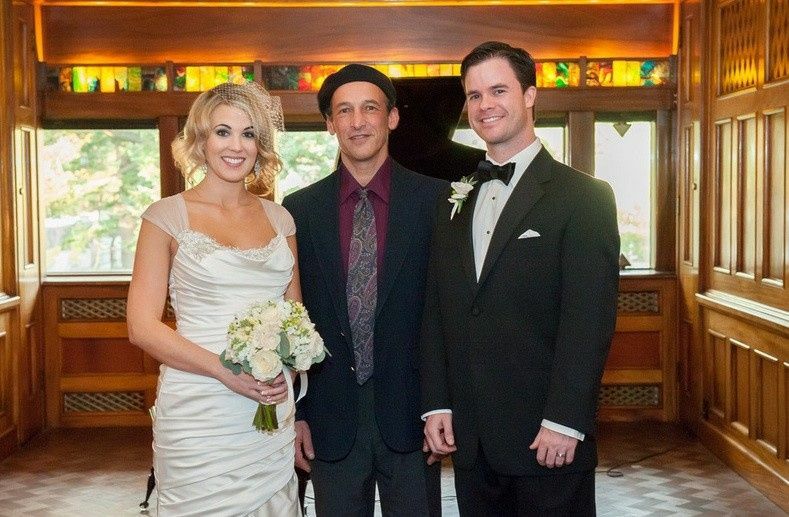 We can send e-mails back and forth to see if you would like to offer the honor of officiating your wedding. 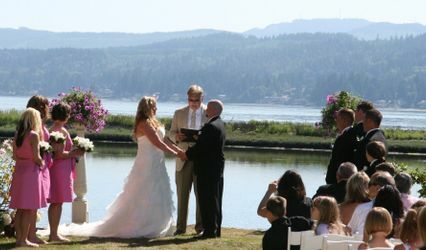 If you would like to be married on the mainland, I am available for weddings in Anacortes, Mt. Vernon, La Conner, Burlington, Seattle, and surrounding Puget Sound area. There is an extra $100 cost for ferries and time. I am available for destination weddings and can do the necessary paperwork to be licensed at your destination wedding location. Love comes in many forms. It is like the sun—it shines on all regardless of race, sexuality, gender, religion, or beliefs. 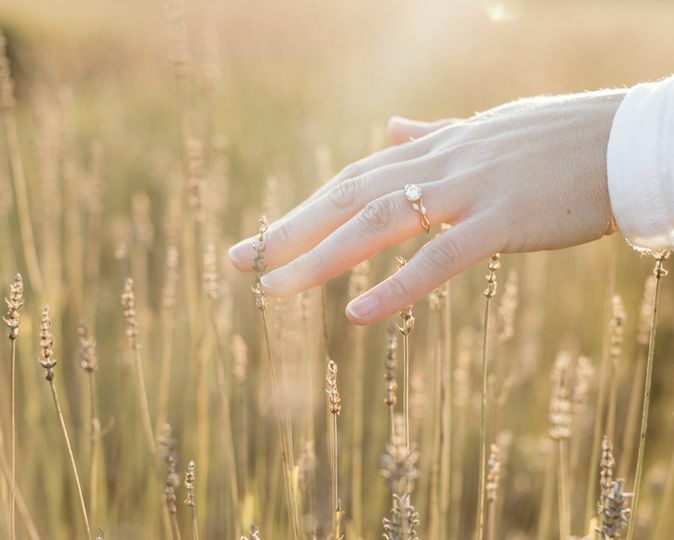 Let's see if we’re a good match for a wedding officiant and perhaps if you would like some help with wedding logistics for your stress-free wedding. Didier was the perfect fit for our elopement. He was genial, was very communicative and really crafted a ceremony that was specific to us. He's a great, honest, genuine human being, with a big heart and a real dedication to what he does. My wife and I really felt the whole process was bespoke, and not once did we ever think we were getting anything other than Didier's complete focus. Thanks Didier! 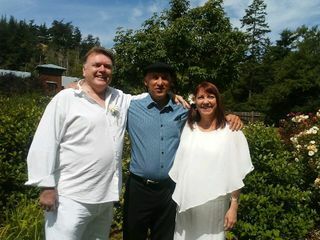 Hope to come back to Orcas and visit with you and your wife soon! Thank you for the review. What a pleasure it was. I look forward to your visit! Happy holidays to you and yours! 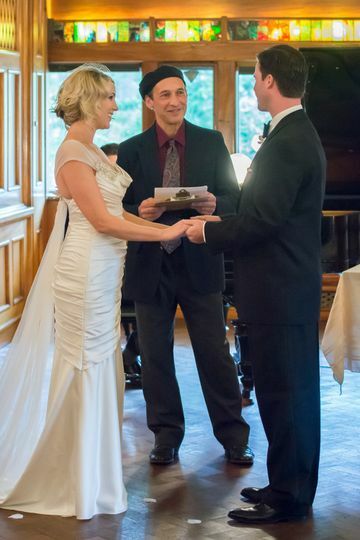 We could not have picked a better Officiant! My husband and I are loners and a little shy by nature, which is one of the biggest reasons why we wanted to elope. 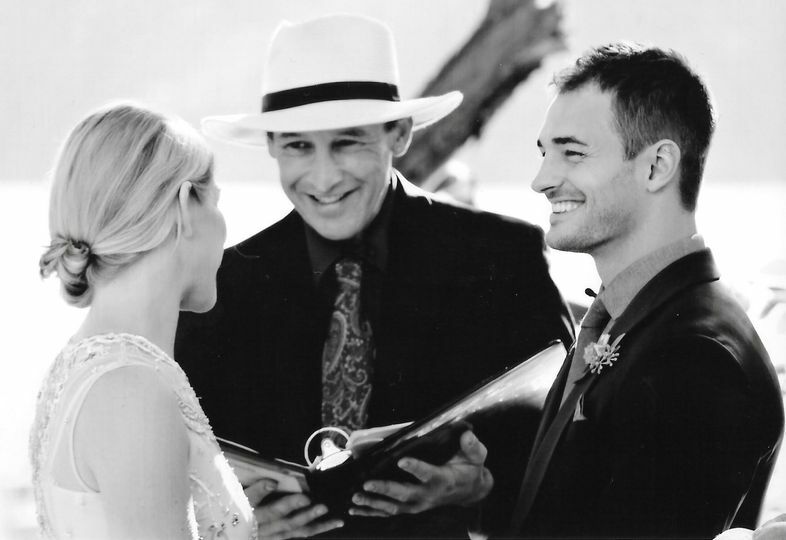 Didier was the perfect Officiant for our wedding and we are so happy we picked him! 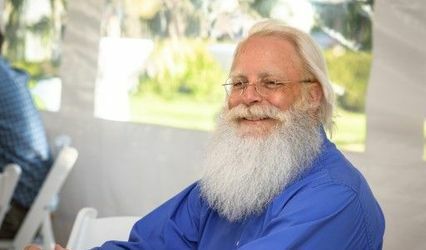 He is a very funny, and personable guy and he helped to make our wedding day perfect! He is very understanding and in-tune with how we wanted to put together our ceremony. 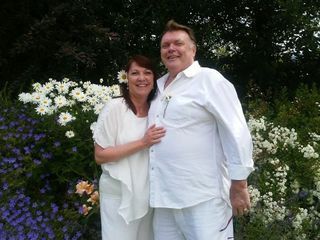 We both appreciated Didier's calm and warm personality and he completely understood that our wedding day nerves stemmed from excitement, not doubt about what we were doing. We loved every minute and were so happy with how our ceremony was put together and how flexible he was with us up to and including our wedding day. The first time I spoke with him during our planning phase, I knew that he was the person I was looking for. Didier is truly passionate about what he does and he honestly cares about making your wedding day special and memorable (memorable in a good way!). We would recommend him to anyone! 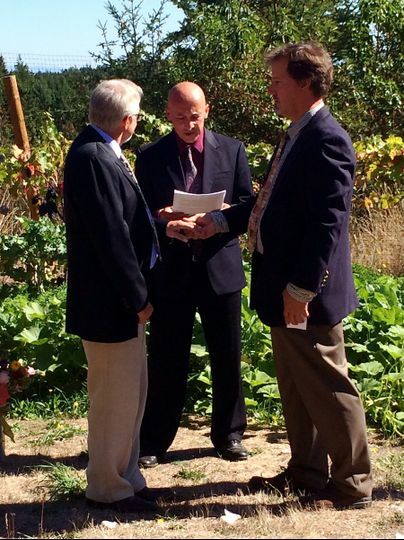 My husband and I could not be happier with our decision to have Didier officiate our wedding ceremony. 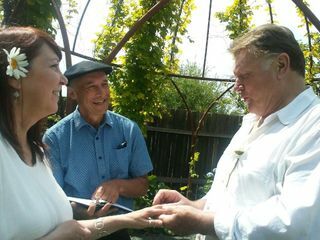 Beforehand, Didier spent time getting to know us and what makes our relationship special to customize the ceremony. 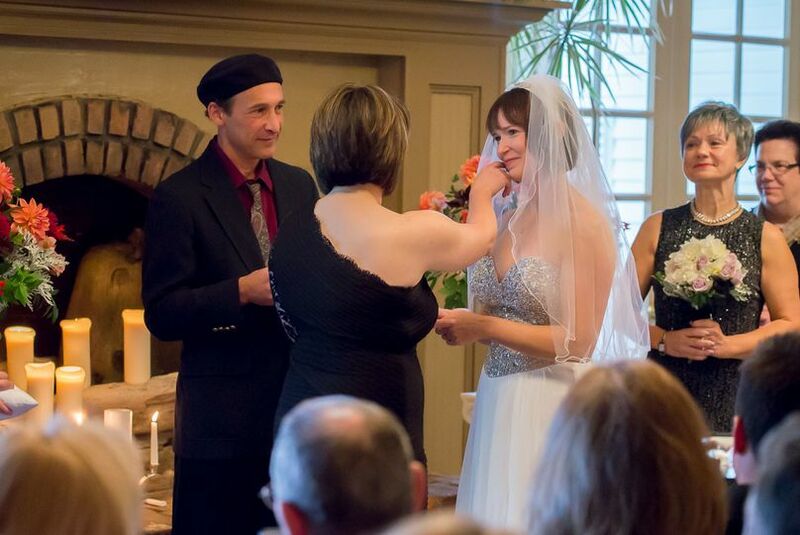 He worked hard to create a beautiful, memorable and meaningful ceremony that resonated with us. Didier is particularly skilled in creating a sacred space for us, the couple, and all of our guests to genuinely feel the love present. 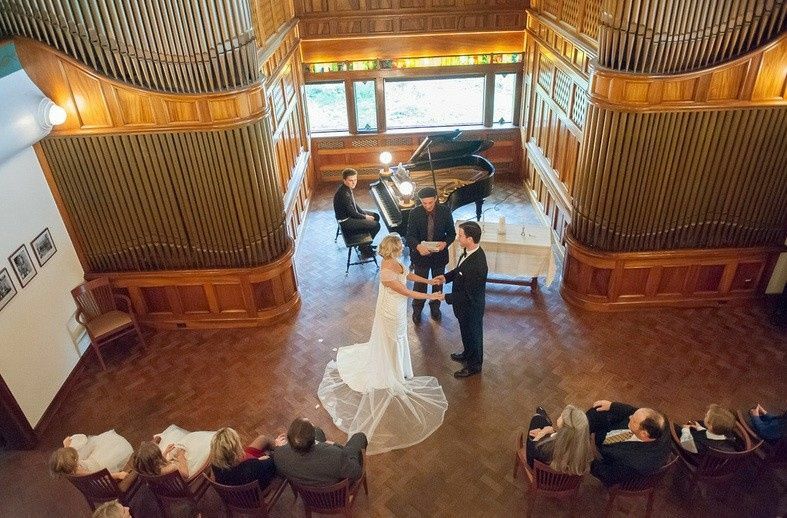 All of our guests raved to us after ceremony, many saying it was the best they have ever witnessed. 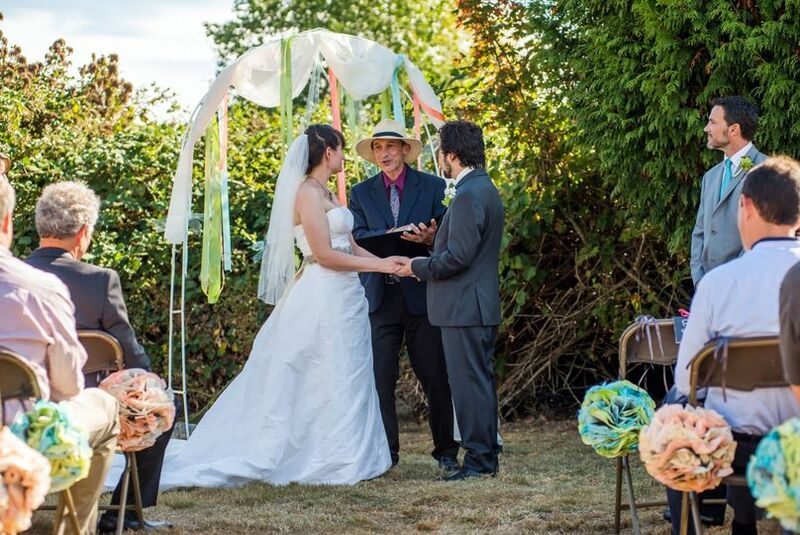 Didier is an exceptional officiant and we cannot recommend him highly enough. Let me know you found me at Wedding Wire and get 10% off. I couldn&apos;t recommend Didier enough. 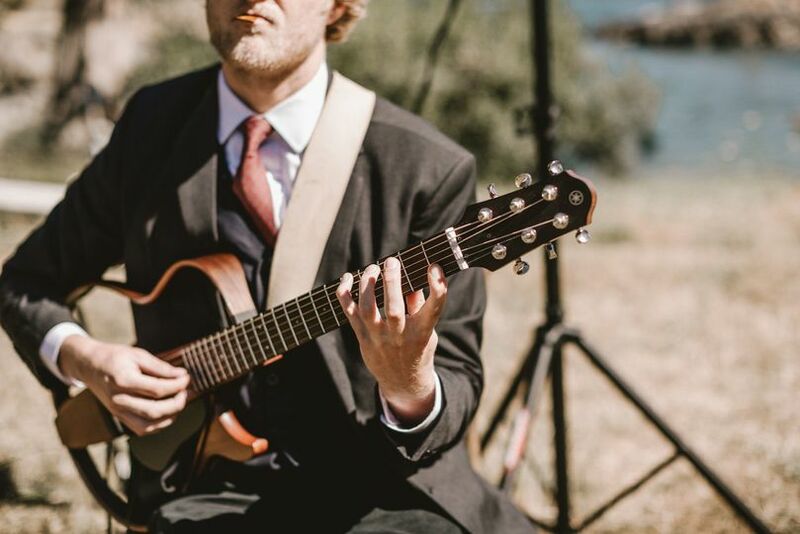 He&apos;s a great presence to have at your wedding with his calm energy, passion for love, and commitment to making your wedding your very own special event that it is. He knows how to bring beauty and professionalism to your ceremony with grace. 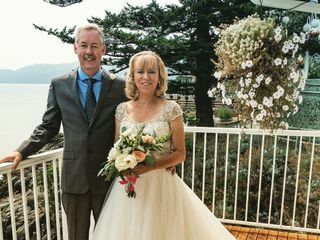 Didier is a warm, engaging individual, and was so wonderful to work with - we were in a tiny little church on the island and he was both accommodating and communicative....and he gave a lovely delivery officiating. I highly recommend him (and I know the bride and groom were also very happy! ).